Not only is it a product of its past achievements, Planet Rhythm is pushing things forward, with Woo York emerging as the label's biggest talent. The Ukrainian duo took over Planet Rhythm headquarters as the label's proprietors and spent no time at all making their mark, releasing this delicious slice of acid, techno, ambient, progressive gloriousness almost immediately. 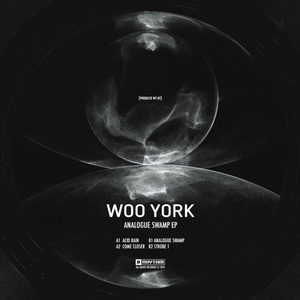 From the abstract TB-303-ish structures of "Acid Rain", through the building peaks of "Analogue Swamp", a perfect example of stripping functional techno, to "Come Closer"'s uplifting trance-like melodies and the closing sequence of "Strobe 1", this record is shaping up to be Woo York's strongest releases to date.